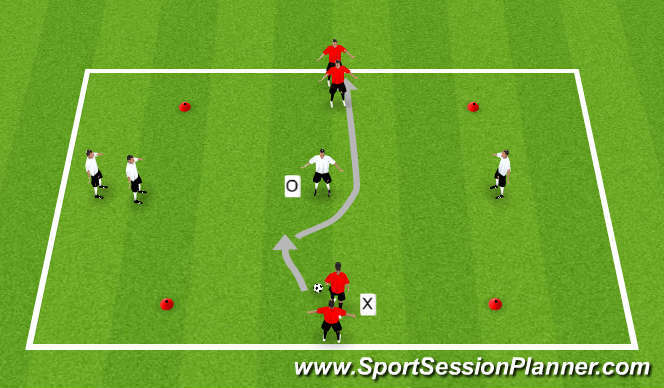 Working on dribbling moves to beat defender, both ends working. 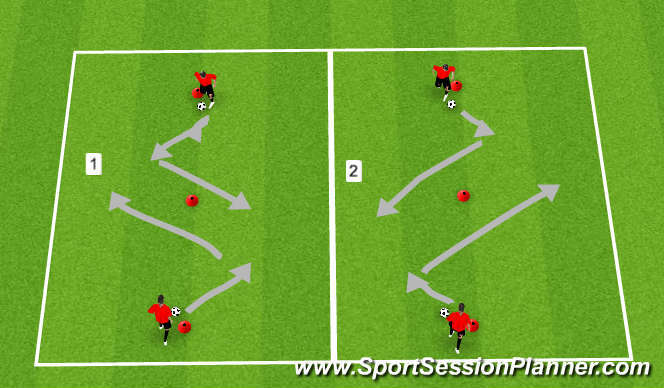 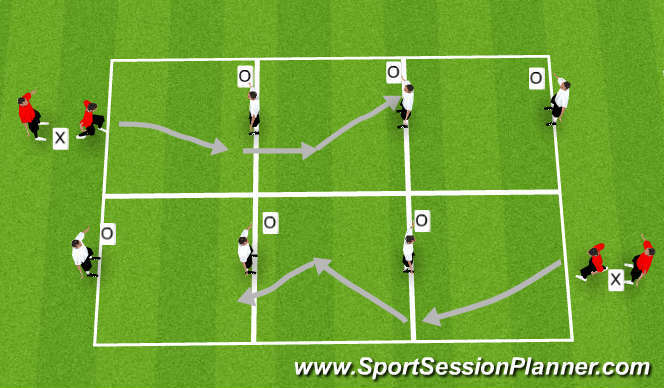 Same as earlier exercise but running with the ball, again working at same time. 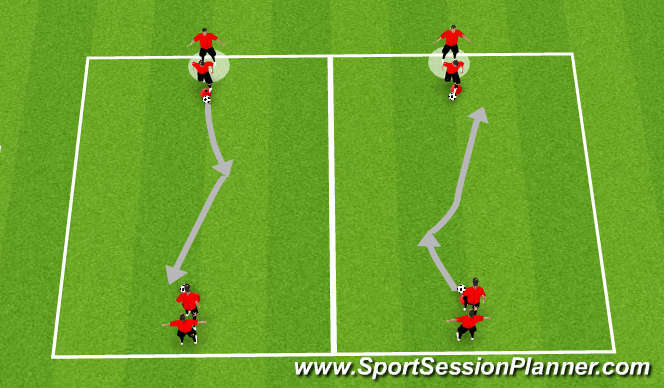 Then Xs defends against the O’s, rotate roles.